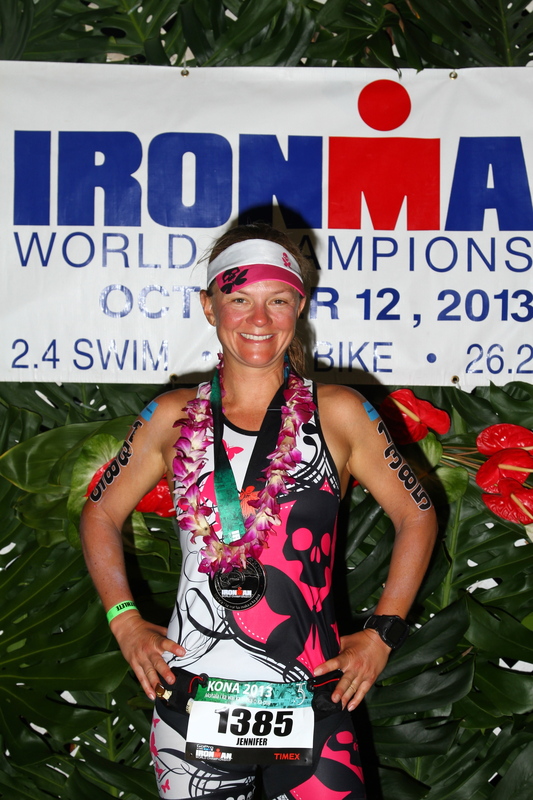 This was the theme for this year’s Ironman World Championships. And it goes into further description which I just feel is so relevant to my life – and could be to yours, too……..
As a new flower unfolds and shows its beauty, we too unfold and evolve, inspiring hope in our journey and our lives. It’s our willpower and what drives us to achieve our goals and fulfill our dreams. No matter what your journey holds, hope will give you the strength to carry on and evolve. If there is hope within u, there is nothing you can’t achieve. Beautifully written. For those that know me well, also understand that this resonated deeply with me. 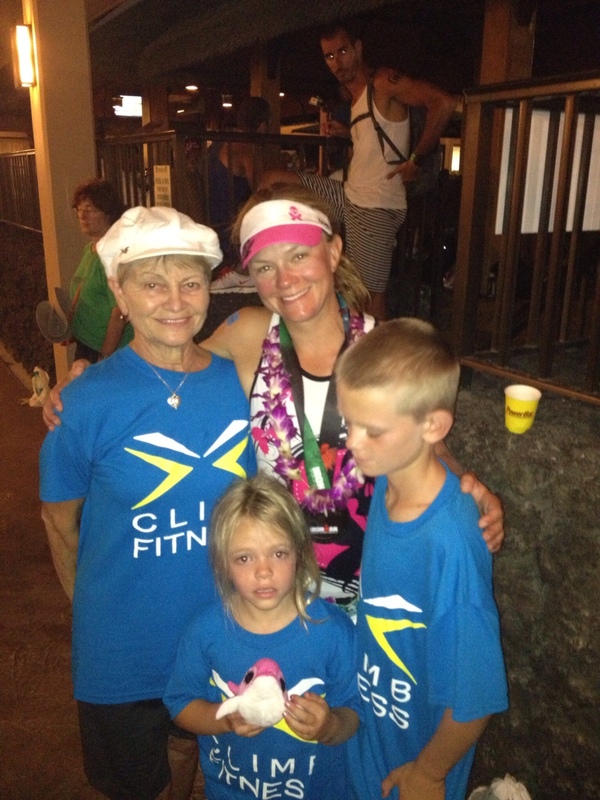 I needed hope, then I qualified for Kona, and now I am achieving what used to seem like the impossible. No idea where even to begin… it just can’t be put into writing…. but I will attempt to do my best. I have had more “love” for this race than ever before – and you deserve to get the real story (as deep as my heart will allow). I will say the experience from the minute I got off the plane to the minute I crossed that finish line was one of which I will never forget. It was truly an unforgettable experience, even the “pre-race triathlete geekiness” filled days before the start of the race. 2) To not “kill it” on the bike as the run can get the best of you if your legs are too thrashed. Probably sounds funny to most — how can you ‘enjoy’ an endurance race consisting of over 140 miles total? Stop laughing!!! But, I decided that I really need to enjoy it, to soak it all in and relish in the experience. So, that’s what I did. Enjoyed it, and saved a tiny bit of energy to put a burst into that last mile (one of my fastest splits ever – but more on that later) AND cross the finish line still running, still smiling. The morning was a bit surreal. The music was playing throughout the venue and everything about it sounded like and felt like what I have watched on TV all these previous years. 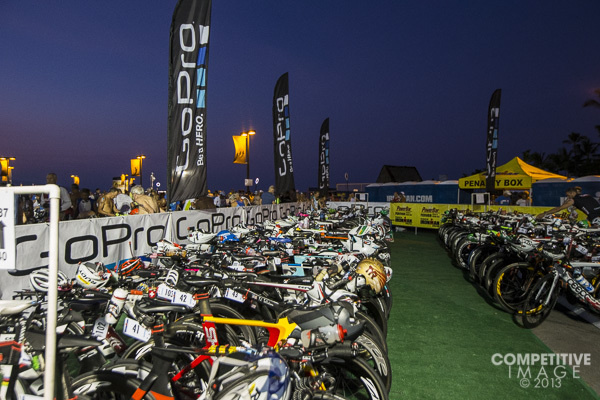 Here is a great picture of the bikes race morning…. I could picture the TV cameras going thru where the athletes were getting numbered. We then proceeded to get weighed, then checked our bikes, dropped off any clothes we might have worn into the area, and were sent towards the ocean. The volunteers were amazing. 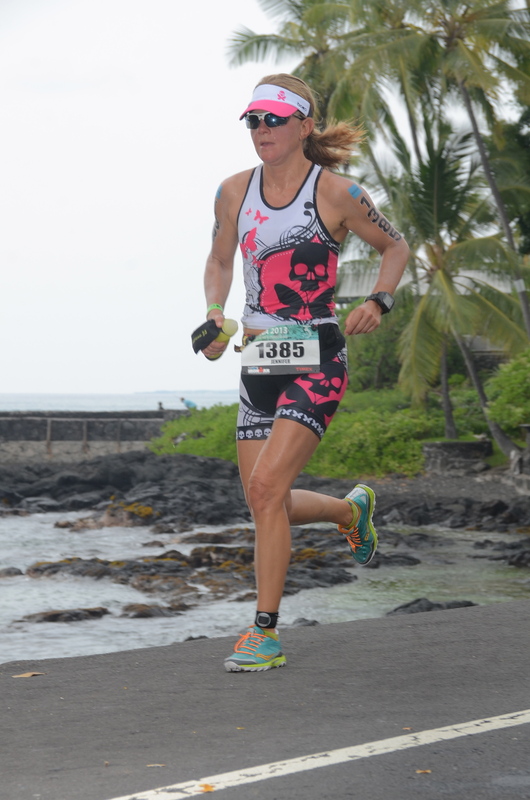 I am spoiled for any future races….. reason #1 to do it again. The music went from mellow and calming during check-in to a very different sound of loud Hawaiian drum rolls. It was awesome but also got your heart rate up just listening to it! It was – again – surreal. 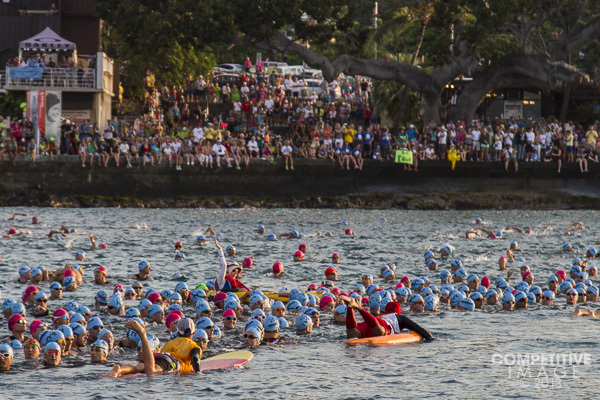 Every time I hear drumbeats, I will no doubt think of the Ironman swim. 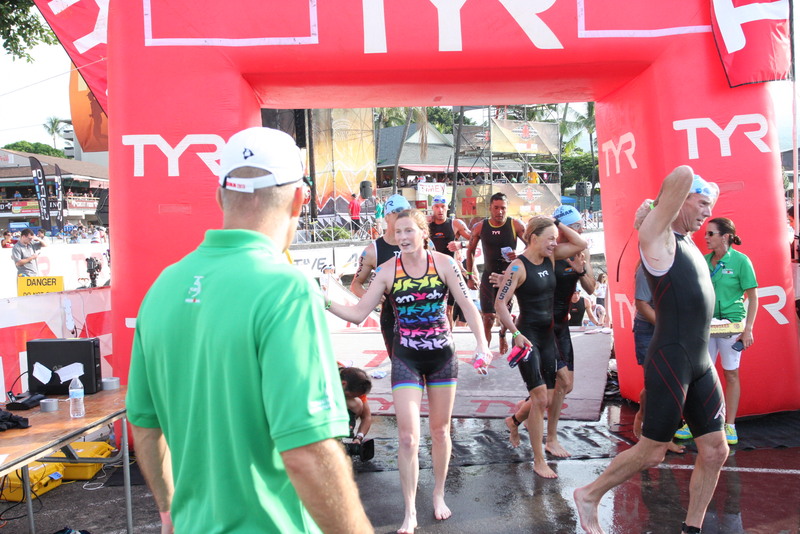 After the pros started, they allowed (and highly encouraged) us to get into the water. Herding 2000 people into the water wasn’t an easy task – especially seeing how we had to tread water for 20 minutes + (pending on when we entered the water). Thank goodness for the beauty of Dig me Beach reason #2 to do it again. The water was aquarium like… and it helped the nerves a little to just take some deep breaths and watch the wonder of the ocean below. Everyone was jockeying for a position and it was kind of funny as the women kept trying to find each other’s pink caps (starting amongst tens of hundreds of men isn’t a dream of mine – I owe a thanks to those high school guys years (++) back who prepared me for this one!). I guess we all assumed swimming with our “own” might make it less brutal. Let me tell you, I don’t think anything would make that swim less brutal. 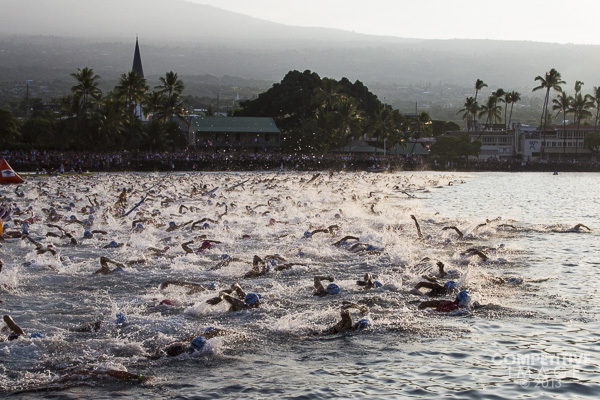 The cannon went off and – just like that – IRONMAN was underway!! It is happening!!! I am swimming!!!! I am somewhere in there…. Despite being knocked in the head, being pulled down into the water, being tapped on the feet every kick, despite it all – it was an amazing feeling. Thank goodness I was in a euphoric state because the kicking, the closeness, the touching of the feet – it did not let up. I knew it would be a rough start, but I wasn’t prepared for the entire 2.4 miles to be that much torture!!! As we neared shore, I could hear the cheering of the crowds… pressure was strong. I finished in 1:03 which was impressive after my lack of swimming (due to shoulder rehab) for the past few months. Felt great (think it was the Kona spirit) despite a bad wing.. Still smiling! So I got a bit of experience of what I think might feel a bit (a bit I said) like the Tour de France. We left transition 1 and headed up Palini drive towards the Queen K. People were EVERYWHERE. The vibe was epic. They were in the street, they were screaming, they were chasing after us, they were PERFECT. I was so excited!!!! I thought this picture captured the bike start very very well. I saw my family (amazing feat in itself) and it gave me a huge smile. We had a few spots in the first 30 minutes we saw them, then it was off for a good 100+ miles…. on my “own”. Not much to say on the bike. Yes, it was windy. Crosswinds – as expected. And, yes, it was hot. I could just feel my body burning at one point. 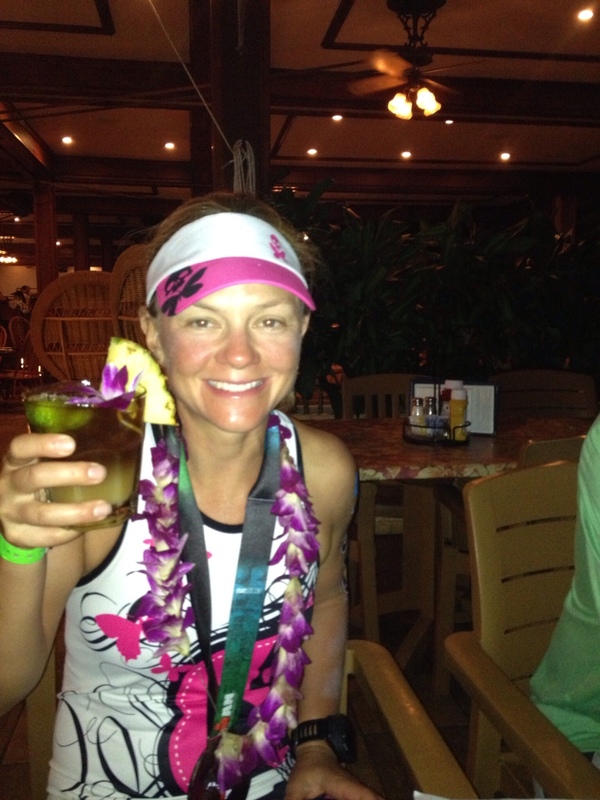 It woudn’t be Kona if it wasn’t any of those things, right? I was psyched at my first 56 miles. Well managed and close to my fastest 70.3 bike split to date. Kept with my own race despite all the people flying past me (glass half full says it’s because of my impressive swim. glass half empty says there are a lot of people here that can bike a heck of a lot faster than me!!). Reason #3 to do it again. More often than once I heard from previous participants that the race doesn’t start until mile 18 on the run. Mine felt like it started at mile 90. That is when the wind hit hard and it was like someone was pushing my bike backwards as I was striving to make good time moving forward. You wouldn’t think 22 miles (at the end of 112) would be a big deal but it sure was when it seemed to cut my split time nearly in half!!! Made it thru all that mess and did 112 miles – as planned – and cruised into transition (after another shout out from the fam!). Thanks support crew!! Loved having them there, even if it was a blip of a second, there faces meant everything. In a sense I felt a little lighter when I got off the bike because anything out of my control (mechanical issues) was over. Now it was just me and my legs. Hell or high water – I was going to finish this race!!! At this point I was right on target. I was happy with my bike split, didn’t feel too thrashed, and knew if I hit my goal marathon time I would end up around 11 hours. The first 3 miles was unbelievably packed with people cheering. I think my first split was right around 7:15… not something I could keep up for 25 more! This was the beginning, my mind was starting to go wayward….but look at my rockin’ skulls and butterflies courtesy of Betty Designs! The advice I received was take it “easy” the first 10 miles and don’t get caught up in all the “energy” coming from the spectators. Clearly I needed to start doing that on mile 2 🙂 At this point I felt good. My legs were sore no doubt and sometimes it was hard to just put one in front of the other but for the most part I felt able to keep a consistent pace. The main issue was the several port-o-potty stops. Not one, hmmmm 5 or 6. Not quite sure why? My stomach felt probably the best it has ever felt during a race – but – the inevitable happened and there was no running thru it (no pun intended). Anyways….. moving onward…. As I neared the Energy Lab (FINALLY!) I remembered watching the previous years race and tried to channel those athletes. The Queen K at this point just seemed so long I was happy to get into the Energy Lab – hills or not. Although I must say all the hoopla with this Energy Lab it is not near as exciting as I remembered it being on TV. I would be remiss if I didn’t tell you about the last mile. Something about it was so wonderful. I wanted it to last forever but I was so excited to be AT the last mile that I just went into a big sprint. I was nearing my “fake” 4 hour marathon time and also just, well, got excited. Where was this boost of adrenaline at mile 20? I recommend the course just do 26 loops through this amazing ‘hot corner” – just think!!! I saw my husband, my mom and my kids with about 3/4 mile to go… my son ran with me down the street, down the hill, and towards the finish line. Ahhhhhhh the time I have been dreaming about!!! Lost my son (he got a cramp of all things!!!) but made it down that famous Ali’i drive shoot. I think I blanked out because I truly don’t remember much about it. I crossed. The volunteers were asking me silly questions like what is your name and what is your race number (duh, they are trying to find out if I am sane or not)… and then I “woke up”. I did it. 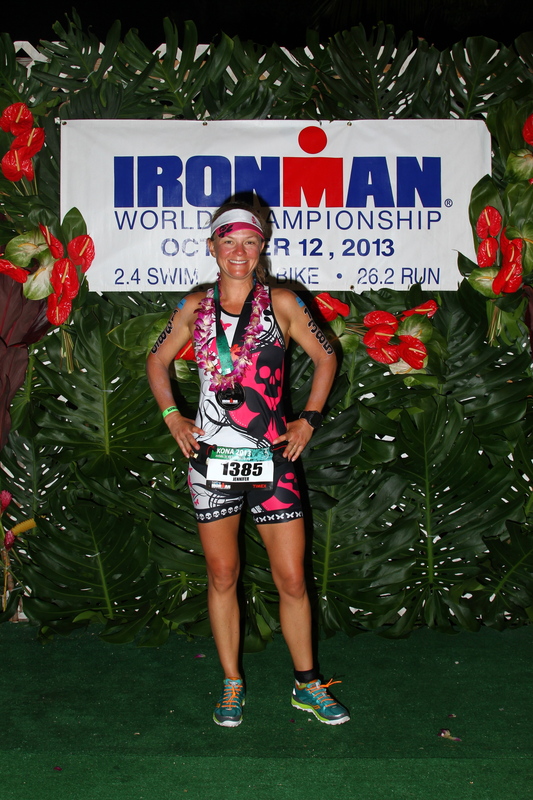 I crossed that finish line and now I am a Kona World Championships IRONMAN. Overwhelmed with emotion… This was such a big event and the only thing that would’ve made it perfect was to have my dad there. Sometimes in life you achieve things that make the soul feel so good, yet there remains a hole. I realized there is nothing that will fill this empty hole in my heart, yet I also realized in this journey called life we all need hope. And if it’s hope that gives me strength to conquer my goals, I will take it and hold on to it tight. 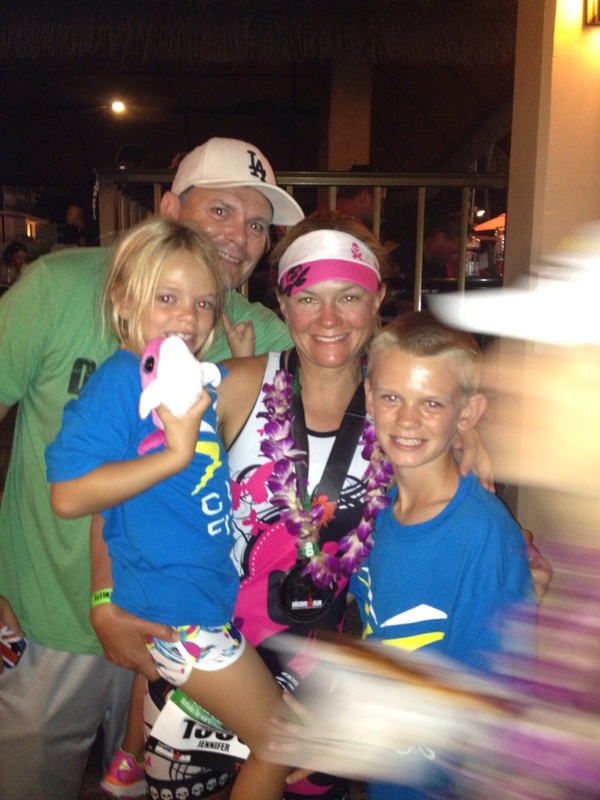 Thanks to my brother and sister for tracking from home, staying up late to watch my finish, and getting their kids involved in the madness, thanks to mom for knowing what this meant to me and being there for every minute of it… my kids for putting in a good 20 hour day of being strong themselves… and of course my husband, who helped make the dream possible. Love you all. There was a buzz of energy, another reminder of where I was, this was not just another IM. 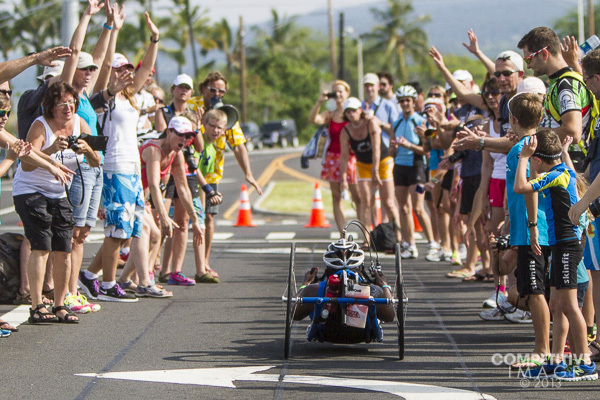 Lessons from Kona. To be used for life.